Chip is married to Nina Sutton, a certified Mental Health professional and ParaProfessional in the Nashua Schools and they have three children, Jessica, David and Ryan. He makes his home in Londonderry where he enjoys fishing, photography, gardening and kayaking. He and his wife are active at Orchard Christian Fellowship. Chip Sutton has a background in Pastoral Ministry and Graphic Design. He studied Graphic Art and Design at Carnagie Mellon University in Pittsburg, PA, got his BA in Biblical Studies at Gordon College in Wenham, MA and his MDiv at Gordon Conwell Theological Seminary in South Hamilton, MA. He served churches in Boxford, MA, Salem, NH and Woodstock, NH for a period of 20 years. He began his Real Estate career in 1995 after graduating from the Harris School of Real Estate. He worked as a Sales Associate at a Realty World Affiliate from 1995-1997, then joined the team at Prudential Verani Realty (now Berkshire Hathaway Verani Realty) in Londonderry, NH. A Londonderry Resident, Chip specializes in Residential Real Estate throughout Southern New Hampshire. He does a lot of New Construction sales with area builders and holds his Certified New Homes Specialist Designation. He is also a certified relocation specialist, holding his Marketing Assistant Designation and Destination Specialist Designation. He also holds his CRS designation(Certified Residential Specialist)and his SRES designation(Seniors Real Estate Specialist). Chip uses Talking House machines on all his listings where Buyers are invited to tune their radios to 1610AM to hear a 3 minute message about the property. Chip is also licensed in MA so he can work with Buyers and Sellers on both sides of the border. Chip has been a multi million dollar producer for years. From 2000-2006 he has received the Presidents Circle award and in 2003 the Chairman’s Circle Gold award placing him in the top 5% of the entire Prudential National salesforce. In 2000 he also received the top Buyer Agent award and the Achiever of the Year award. He has been a member of the Prudential Verani top 12 from 2000-2006 and recieved the Leading Edge Society award in 2007. Chip is also E-Certified, a designation with Prudential National that means he is proficient in the use of modern electronic and Internet tools in his Real Estate work. He has several websites with NUMBER1EXPERT.com, Realtor.com, E-Real-Estate.com and Top2Agents.com. He is also a member of the Christian Real Estate Network and a member of Manchester, NH Who’s Who. Chip is a part of the Sutton & Wells Real Estate Team. 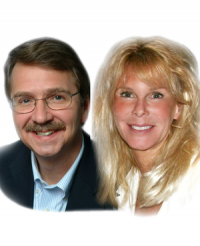 Along with his team partner Kim Wells, they will provide expert assistance for Buyers and Sellers. The Sutton & Wells Team received the Leading Edge Society award in 2008, 2009, 2012, the Presidents Circle in 2010, 2011, 2013, 2014, 2015, & 2017 and The Chairmans Circle Gold in 2016 & 2018 putting them in the top 2% of the nationwide BHHS network as well as receiving an “Ozzie” award in 2010,17 & 18 for being in the top producing teams in Verani Realty. With his background in Pastoral Ministry, Chip seeks to bring that value system to bear on all of his Real Estate work. He seeks to operate his business with honesty and integrity. Chip sees his job as a Real Estate consultant to be helping people make good decisions by providing the best information and service available. Kim makes her home in Salem NH and is licensed in both NH and MA so she is able to help Buyers and Sellers on both sides of the border. She has a background in teaching and her attention to detail and the needs/wants of her clients enable her to excel in her Real Estate career and has brought rave reviews from her satisfied customers. She is an early riser and is on the computer searching for her clients at the start of every day. She is quick to respond to the questions and concerns of her clients via phone, email and text. In her work as a Buyer agent she gets into many homes in the area and brings that extensive knowledge to bear when she works with Sellers on pricing their homes to sell. Kim is BHHS Relocation Certified as well as having her BHHS Luxury Homes Certification. These recognize her ability to work with transferees both as a listing agent and buyers agent and affirm her knowledge of the luxury home market in Southern NH area. Kim was recognized as “Achiever of the Year” in 2007 with Verani Realty and received the Honor Society award that same year. As part of the Sutton and Wells Team she has received the Leading Edge Award in 2008,9,12, the Presidents Circle Award in 2010,11,13, 14, 15, & 17 and the Charimans Circle Gold in 2016& 2018. These awards put her and Chip in the top 2% of the Berkshire Hathaway HomeServices national sales force. The team also received the Verani “Ozzie” award in 2010, 17 & 18 for being among the top producing teams. Kim has a pleasant and direct manner and her strong work ethic produces results for her customers and clients. Kim is the proud mother of two and enjoys her two grandchildren. Her love of family causes her to care for yours as she serves the Real Estate needs of buyers and sellers alike.